It lasted about six minutes. 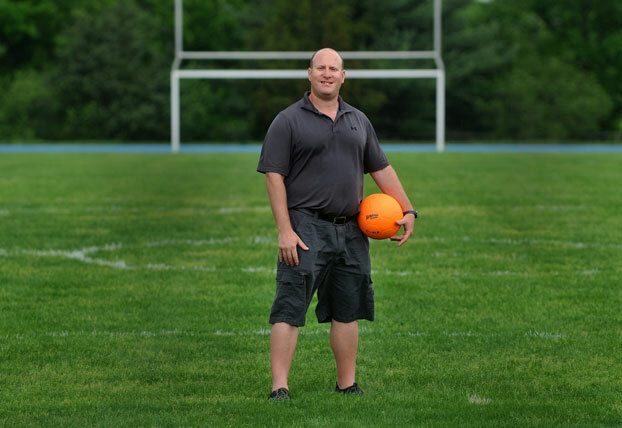 Seth Greenberg, coordinator for the Newington High Unified Sports program, isn't exactly sure on the exact length of time, but he's certain the impact will be felt for quite awhile. The Newington Unified basketball team played South Windsor on March 2 in a scrimmage at halftime of a Central Connecticut game. It was a special game on a special day, played in front of 2,364 fans on the Blue Devils' senior day. It might have been quick, but the memories will last a long time. "We had never done it before and it was fantastic," Greenberg said. "Talk about having the glory - that was the moment for [the student-athletes]. Everyone was watching. It was Unified Sports Day." "Confidence," Greenberg said. "That was the No. 1 thing: Confidence. It was like [the athletes] made it." It was on display from the moment the athletes touched the ball, and was evident as they played together. "The kids loved it - they ate it up," Greenberg said. "I loved it. I ate it up, too. It was great. Greenberg said Central Connecticut State University, located down the road from Newington High, wanted to make it happen. "Central was looking to have something to do with the program and Lou Pear, the head of Unified Sports at the CIAC, suggested Newington High because of our close proximity," he said. Greenberg is hopeful the two can connect again. "The [kids] still talk about that game. They would love to go back, they'd do it in a heartbeat," Greenberg said. "I'm hoping the partnership continues."